AUSTIN, Texas–(BUSINESS WIRE)–Please replace the release with the following corrected version due to multiple revisions. Pivot3, the hyperconverged infrastructure (HCI) technology and performance leader, today announced a new ruggedized hybrid cloud solution to support the infrastructure needs of defense, intelligence and other extreme operations at the “tactical edge.” Optimized for analytics, virtual desktop infrastructure and IoT uses cases, Pivot3’s Intelligent Edge Command and Control solution allows customers with truly mission-critical requirements to capture, process and act on data immediately in the field. As defense, intelligence and other agencies deploy more IoT-enabled intelligent devices in the field – from body cameras and sensors to virtual desktops – a more reliable, dense and high-performing solution is required that can withstand the elements of all environments. 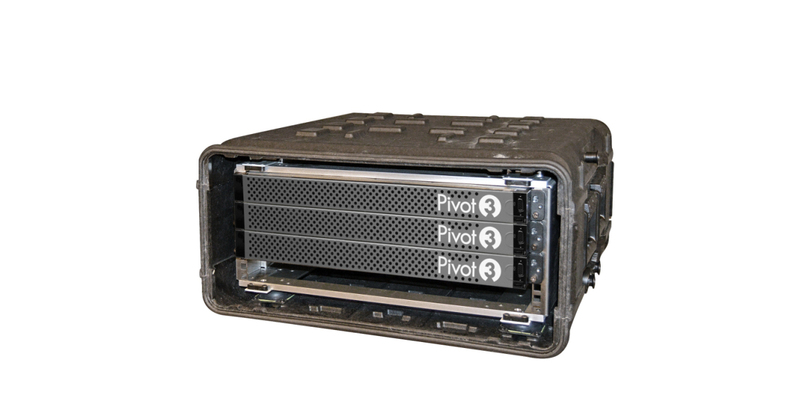 Designed for extreme conditions, Pivot3’s Intelligent Edge Command and Control solution is a fully self-contained computing infrastructure platform that transforms vehicles, ships and planes into micro-datacenters with simple, on-demand scalability. It provides a common platform across tactical and traditional datacenter environments for all workloads, no matter where they live. With Pivot3, agencies can easily add compute and capacity as needed to grow with the needs of the mission. Powered by Pivot3’s Intelligence Engine, the solution provides NVMe flash performance, security, scale and resilience in a space, weight and power (SWaP)-optimized form factor capable of supporting multiple mission-critical workloads. The Intelligence Engine features industry-leading automation for “set-and-forget” policy-based management, which enables customers to guarantee performance to critical applications and automate data placement across private and public clouds. The Intelligent Edge Command and Control solution enables policy-based replication, workload mobility and disaster recovery for complementary cloud services.